In the past, AllSides rated CNN Web News (which does not include Opinion/Editorial pieces or cable TV broadcasts) as Center media bias — yet, it was barely Center, and fell close to our “Lean Left” rating, according to numerous blind media bias surveys we ran. Yet as of March 2018, after extensive review, AllSides changed CNN Web News to Lean Left media bias. Here's why. 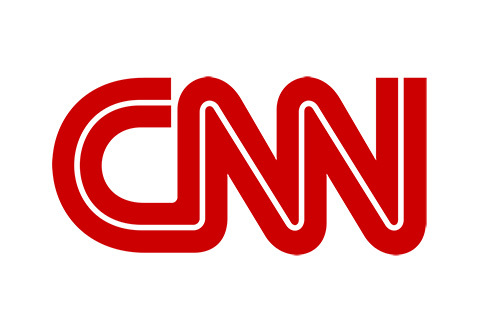 After years of receiving feedback from users that AllSides' rating of CNN Web News as Center was incorrect, we conducted an extensive editorial review in March 2018, after which we decided to move CNN Web News to a Lean Left rating from its previously held Center rating. It should be noted that AllSides rates CNN's Opinion/Editorial content separately, and rates this content as Left. For our review of CNN Web News, the entire AllSides team read CNN’s homepage and politics page every day for a week and compared it to other Center and Lean Left sources. We looked at the stories CNN chose to cover as well as the prominence certain stories held over others. We found CNN Web News has a tendency to include a lot of Opinion and Analysis without labeling it as such until after readers click through to the article. This means CNN displays Opinion-level content alongside hard news on the homepage, making it look like the opinion pieces are objective, fact-based news. We also found that there are Left-leaning and Center articles featured on CNN, but the outlet never publishes a Right-leaning article. A Center rating doesn’t just have to mean Center reporting — we also assign the Center rating if we see a balance of biases being represented, which was not the case with CNN. We have noticed, along with our audience, that CNN Web News has been moving Left over several years — in particular, the last three years. (A reminder: a lot of anti-Trump content does not necessarily warrant an outlet a Left or Lean Left leaning). There is overwhelming agreement amongst AllSides readers regarding our media bias rating of Left for CNN Opinion/Editorial. Of the 1,409 community votes we have received, 71% agree with our rating, and 29% disagree. Among the people who disagreed, the average generally thought Lean Left was a better rating for CNN Opinion/Editorial. Yet when we took the average of all the votes agreeing or disagreeing, the average still comes out to Left by a small margin. Yet for CNN Web News, there has been ongoing disagreement. Of the over 38,000 votes of feedback we have received over years, 49% agreed and 51% disagreed. Our blind surveys in years past have given us ratings in the Center range (though on the Left side of Center, still within the Center range). We speculated that much of the user feedback was about the CNN cable network rather than CNN Web News, which is what AllSides rates. Using the numbers above, we take an average of the votes to arrive at an average bias rating. For CNN Web News, the average rating of those who disagreed with our media bias rating was 79.1, which is Lean Left, but just on the cusp of hard Left (which ranges from 80-100). The average rating of all user feedback, combining those who agree and disagree, was 64.8, or Lean Left (which ranges 60-80). So while CNN Web News has been rated Center in the past, it has been on the Left end of Center for some time. Now, after a new editorial review in March 2018, we are changing the media bias rating of CNN Web News to Lean Left. Our rating for CNN Opinion/Editorial remains Left.